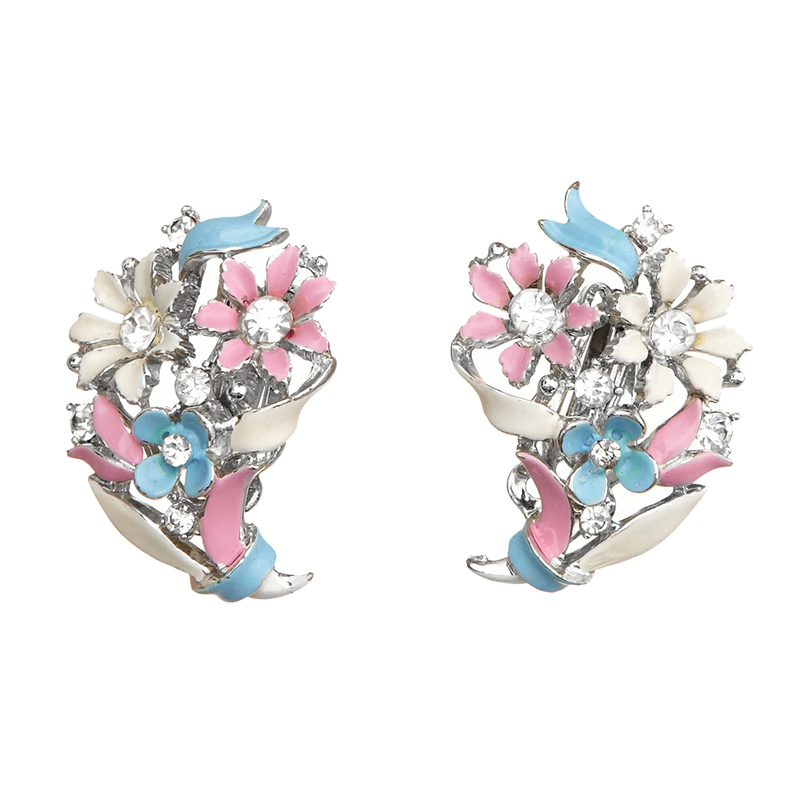 These are such a pretty floral earrings, the hand enamelled design of ribbons and flowers is painted in Pink, White and Blue, each flower has a clear crystal rhinestone in it’s center. We also have the matching necklace listed separately. The earrings are Silver tone and measures 3 x 2.5 cm. Founded in New York in 1904 by David Lisner. 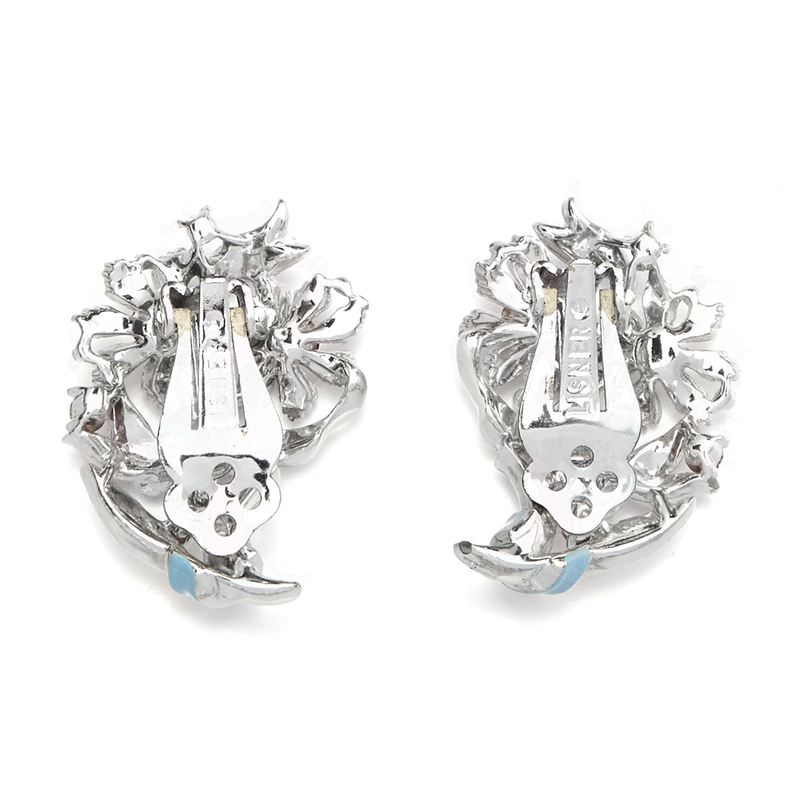 The company acted as an importer and distributor for Elsa Schiaparelli's jewellery in the 1930’s. This changed due to WWII making it difficult to continue importing and the company started signing their own pieces in 1938. Lisner were at the height of their production in the 1950’s and 1960’s. Lisner bought the Richelieu Pearl Company in 1970 and changed their name accordingly to Lisner-Richelieu. The company stopped manufacturing in 1985. Their most collectable designs are from the 1950's and include the Maple Leaf and Strawberries sets.